“This is a sponsored search in which Web site owners pay an advertising fee, most generally based on the number of click-through or ad views.” These websites are generally listed in top placements of search engine results pages. We create such campaigns in an efficient, effective and economic way. Paid search marketing means your company pays to advertise within the sponsored listings of a search engine or of a partner site. This is done mot commonly by paying each time your ad is clicked (pay per click) or less commonly, whenever your ad is displayed (cost per impression). We ensure that your company achieves the best results through ppc campaigns in a highly profitable and successful manner. The most common paid search campaign is the pay per click system. 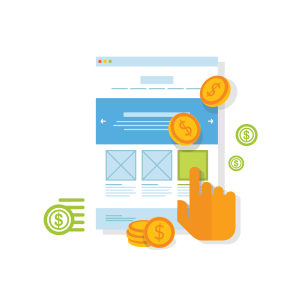 Although paying for every click made to your website may sound expensive, in a well-designed campaign, the opposite is true. Your potential customers will see ads for your website only when they search for precisely the products or services you offer. So, with proper research the paid search ads you place will earn you far more than the initial cost.